AHB's Teenage Kicks » Blog Archive » All tomorrow’s parties…really pissed off the landlord. All tomorrow’s parties…really pissed off the landlord. 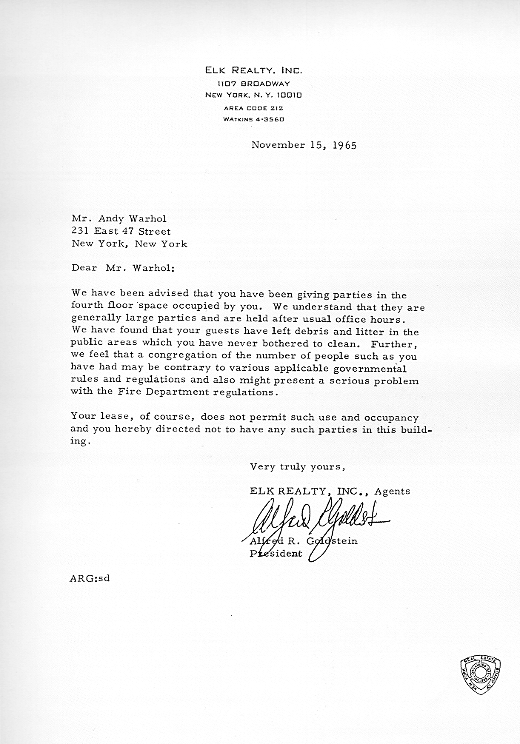 Letter to Andy Warhol, from his landlord when he occupied the live/work space known as The Factory. “…which you have never bothered to clean.” See, that is where I side w/ Al Goldstein. Bummer! tag: The Problem with the [aspirational] Middle Class.